Toyota Stadium opened on 6 August 2005 with a match between FC Dallas and the MetroStars. Previously, FC Dallas had been playing their home matches at the much bigger all-purpose Cotton Bowl Stadium. The stadium has the shape of a U with stands at three ends and a permanent concert stage at the fourth. 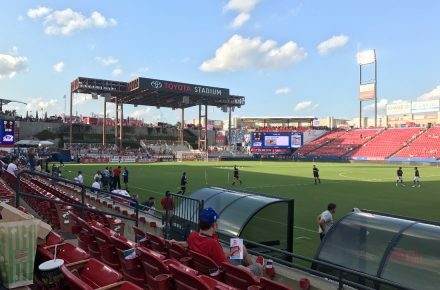 Until 2012 the stadium carried the sponsor name Pizza Hut Park, it then got renamed FC Dallas Stadium, and has been called Toyota Stadium since 2013. 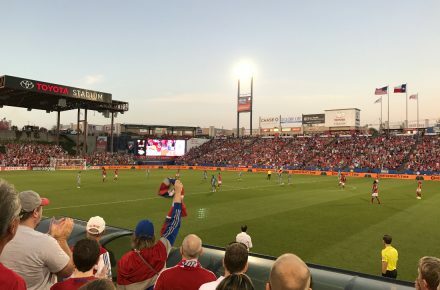 In 2017, works started on an extensive redevelopment of Toyota Stadium, which included the reconstruction of the south stand, increased hospitality facilities, and the construction of the Soccer Hall of Fame adjacent to the stadium. 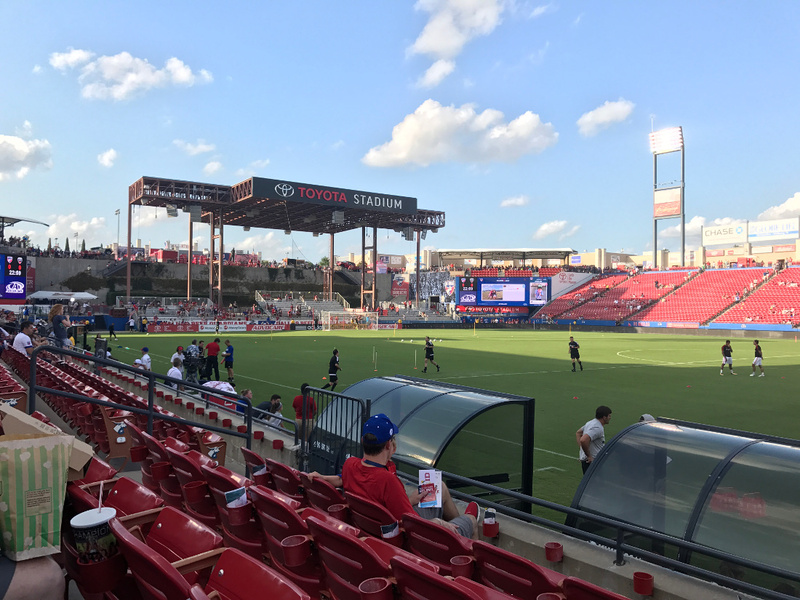 Toyota Stadium is located in the city of Frisco, a Dallas suburb located about 25 miles north of downtown Dallas. The stadium lies adjacent to the North Dallas Tollway, which originates in Dallas downtown. Follow north and exit at Main St. / Cotton Gin Rd. 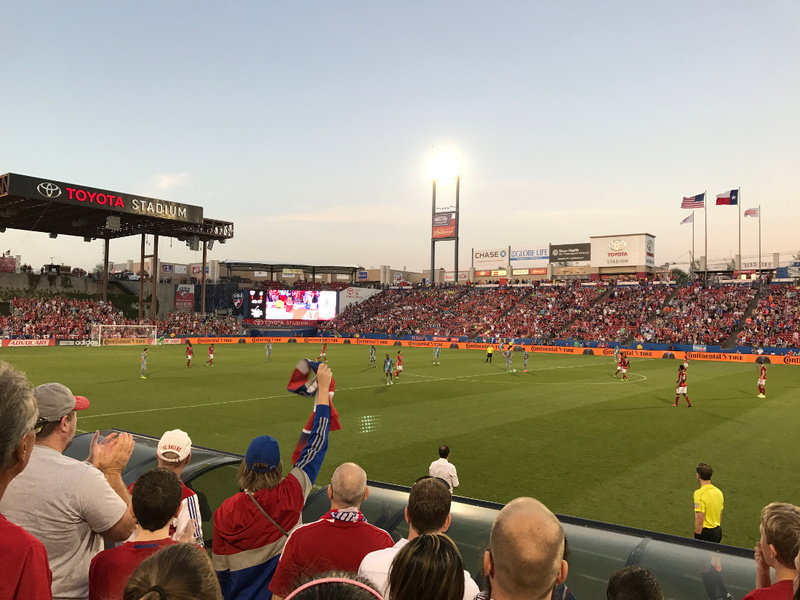 Tickets for FC Dallas games can be bought online via Axs or Ticketmaster, or at the box office of Toyota Stadium. Ticket prices range from $25.00 for most general seating on the sides to $60.00 for club seats. 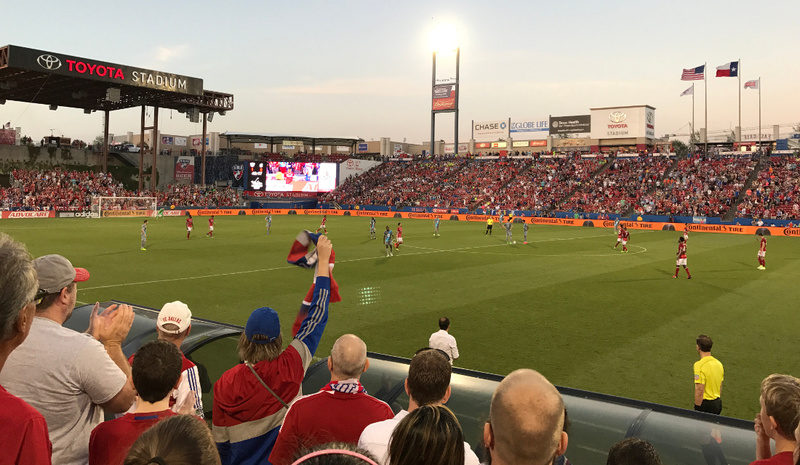 FCDallas.com – Official website of FC Dallas. Visitdallas.com – Tourism website for the city of Dallas.